Justin Ilouian sparks team with 11 kills after the Hawks dropped the first set. Next up is Long Island championship match on Saturday. 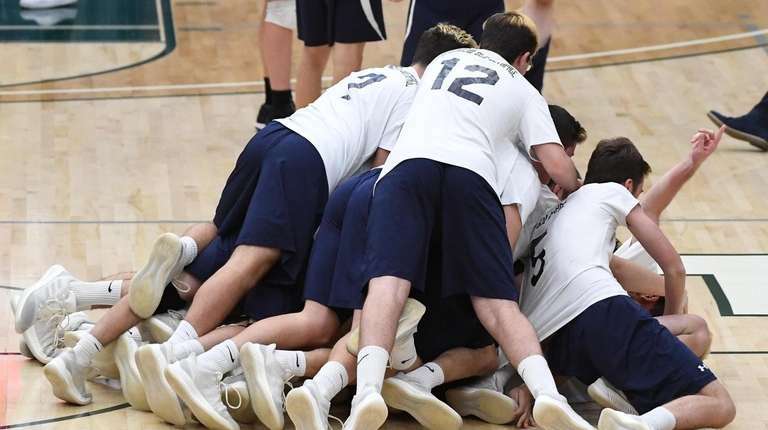 Plainview-Old Bethpage JFK players react after they win against Massapequa for the Nassau Class A boys volleyball championship at Farmingdale State College on Wednesday. 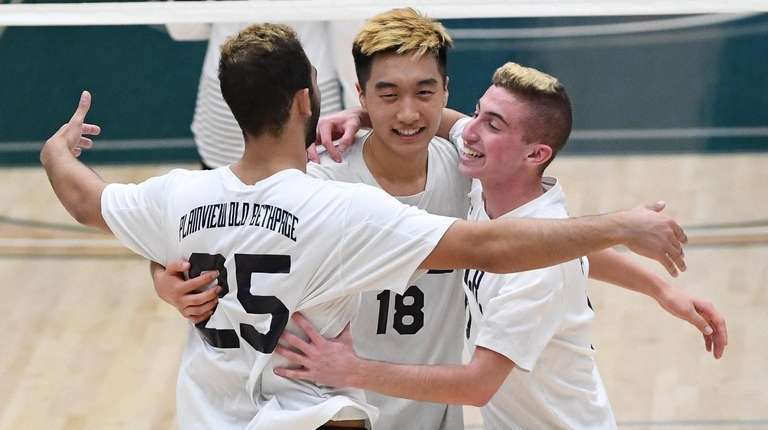 Only moments after helping lead the Plainview-Old Bethpage JFK boys volleyball team to the Nassau A title, Justin Iloulian already had his sights set on an even bigger prize. The Hawks clinched the third set and claimed their first lead of the match at 2-1. 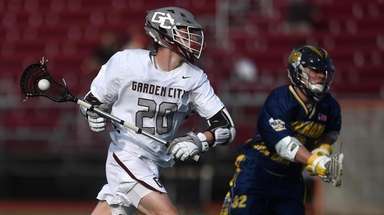 Massapequa pulled to within 23-19, but Plainview responded by winning the final two points, pushing the Chiefs to the brink. 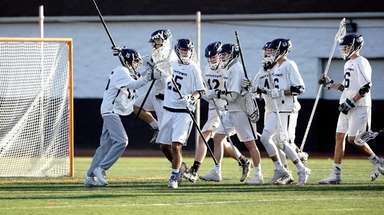 Massapequa got to within 23-20 in the fourth, but the Hawks earned two of the next three points and the celebration was on. 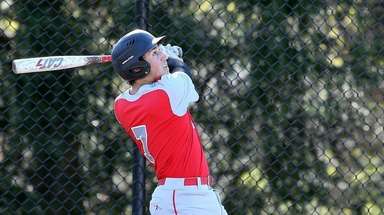 Plainview finished Nassau play a perfect 17-0, while Massapequa ended at 14-4. Massapequa rallied to take the opening set after a quick 6-2 start by Plainview. 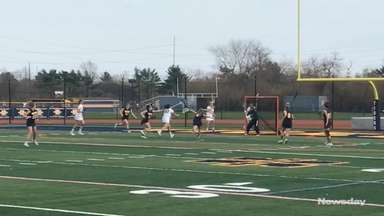 The Hawks worked their way back after falling behind 22-19, tying the score at 24 before the Chiefs closed it out with two straight tightly contested points. Plainview dug deep to come away with a win in the second set. The Hawks trailed 24-22 before scoring four consecutive points — including back-to-back kills from Iloulian — to tie the score at one set each. Iloulian spoke about what changed for the Hawks after dropping the initial set. 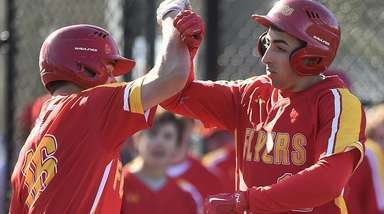 “I knew this team could be this good coming in,” Villalta said.